Ontario is blessed with foragable wild foods for almost every season. The least of which is definitely not Spring. Spring in Ontario, means some of the finest table fare can be gathered including leeks, fiddle heads, cattail hearts and morels. 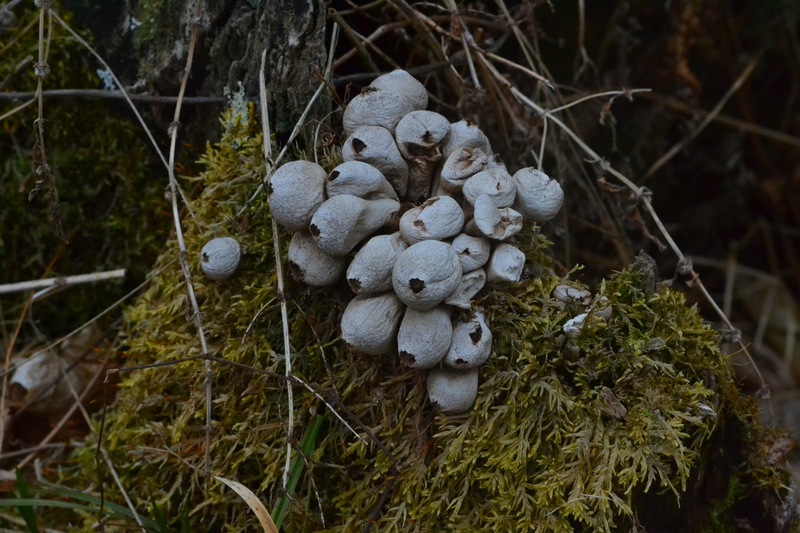 Finding most of these treasures can be difficult as they are heavily dependant on temperature, sufficient rain and their ability to hide from other foragers! Thankfully leeks are one of the easiest to spot due to the stark contrast of their green on the brown hue of last years fallen leaves. 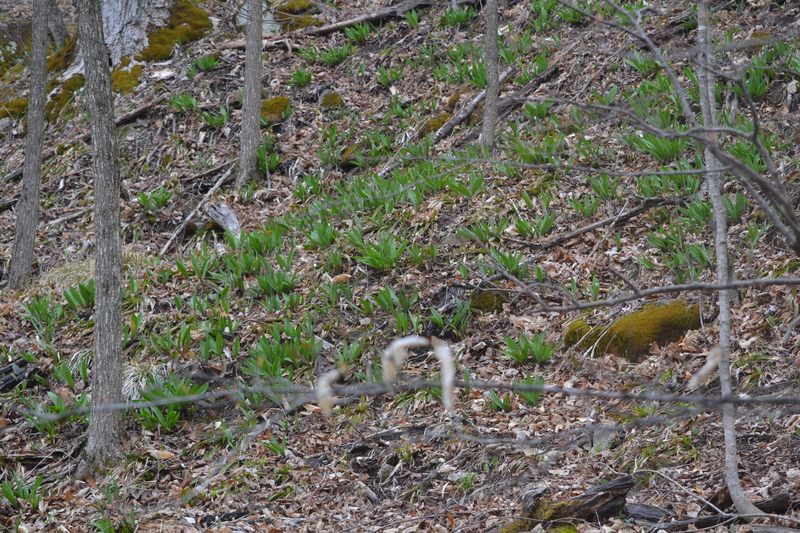 Leeks are also very plentiful in Ontario and can often been seen after the first couple weeks of 10 – 15 degree weather. Just remember when looking for leeks early on, the contrasting green is the key. They are one of the first plants to sprout. Also, you will probably smell the delicious onion odour a mile a way! 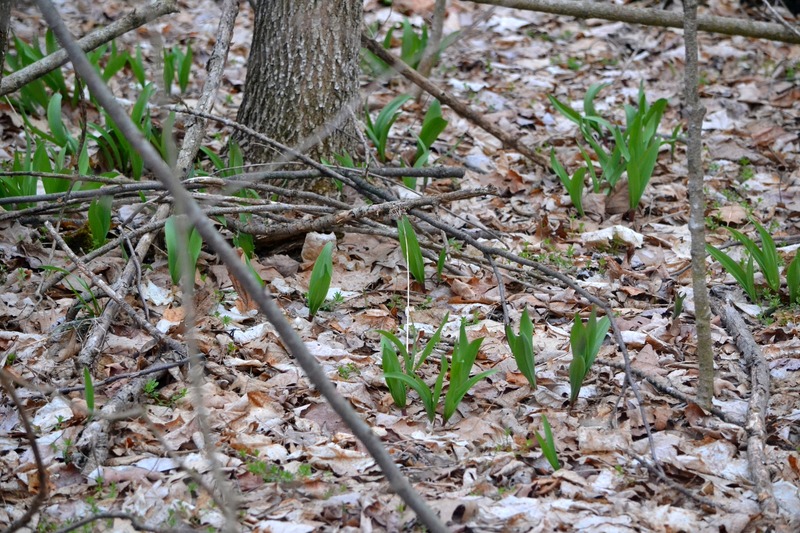 *****Please keep in mind when you are harvesting wild leeks it is best to only remove one or two leeks from a cluster or, more preferably, clip off the green and leave the bulb in the ground. This way they will continue to proliferate in the area. Consider it an investment for next year! 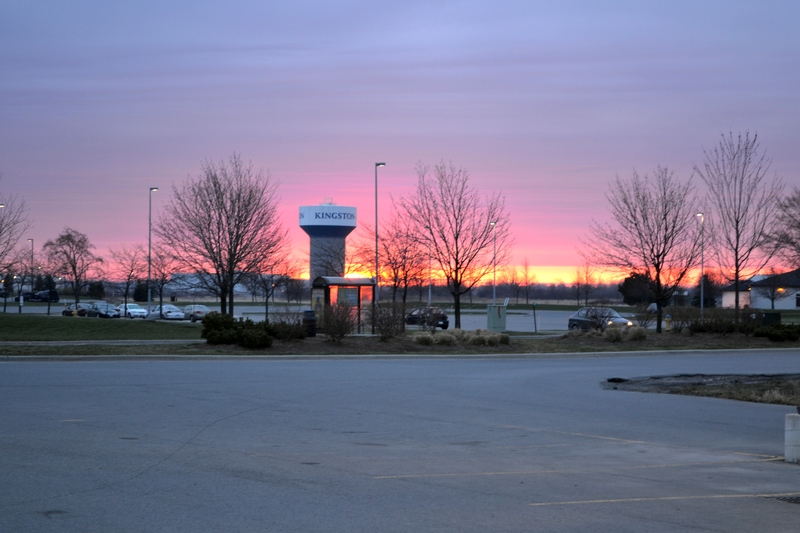 My recent foraging trip saw me getting up at 5:30, heading out my door at 6:00, stopping quickly at Tim’s on highway 15 and blasting up Sydenham Road by 6:15. I met with a friend of mine at a favourite spot about an hour north of Kingston. Set with bags, a large bladed knife for digging leeks and our trout gear (cause you never know when a fishing oppourtunity will present itself), we headed up the trail with eyes focused on the ground in search of green gold. 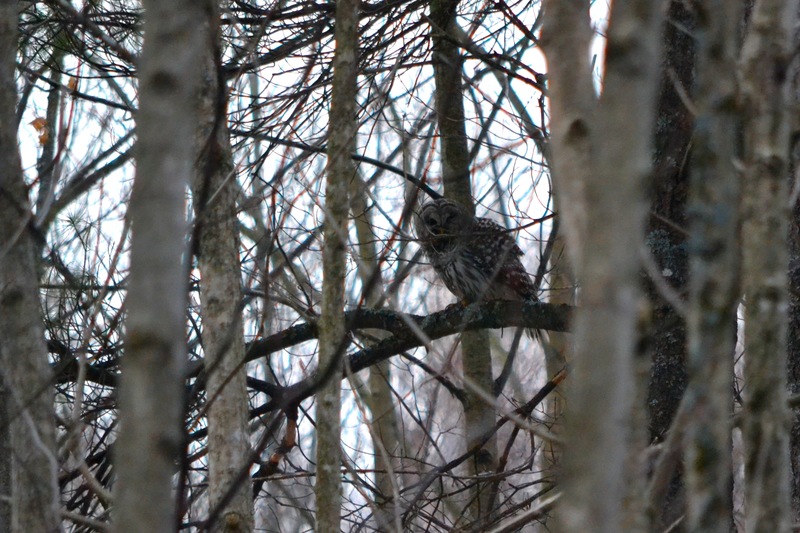 I guess it was by chance then that my friend spotted a decent sized Barred Owl perched on a nearby pine. Quite the specimen! Further down the trail, and after some failed attempts at some speckles in a few local lakes, we found the spot we were looking for and began our harvest. Lots of leeks to be had but no sign of any other forageables. 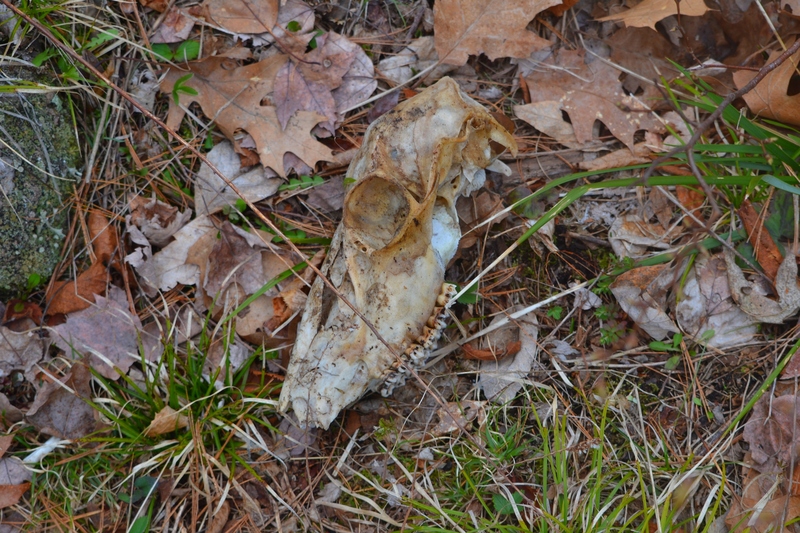 Lots of signs of spring and remnants from last winter. 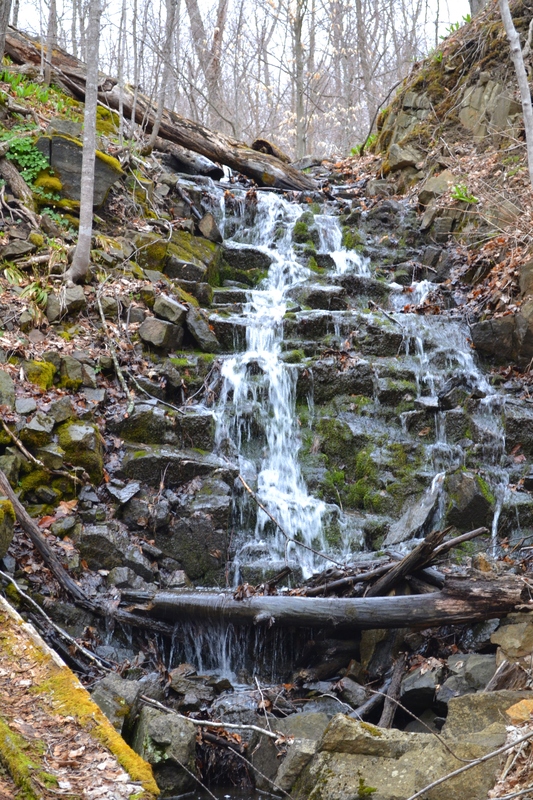 I am always impressed by how fresh and stunning Southern Ontario looks in the spring. Not to mention how tasty it can be too! More on this once I have cooked a few of these tasty guys into a soup or two. 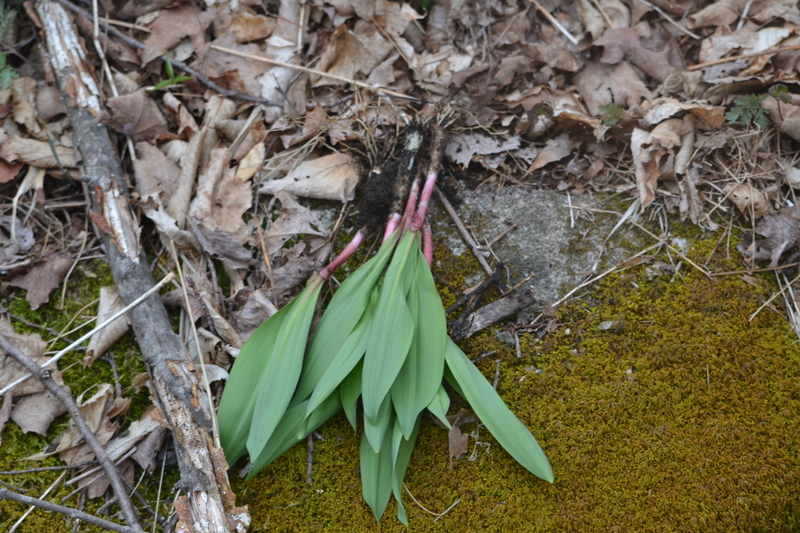 This entry was posted in Foraging and tagged Foraging, Hiking, Kingston, Ontario, ramps, wild leeks. Bookmark the permalink. If you read the quote carefully you will find that I indicate removing one or two from a cluster is acceptable. Even though removing only the green is best, limiting the number taken can also mitigate the damage to the colony as a whole. reap the benefits of a great harvest, year after year. I enjoy reading your posts, I grew up in in the wilds of Ontario as it were: Dad was a guide in Algonquin Park, mom is a naturalist, so I relate to a lot of your posts! My inquiry is in relation to the topic of this post. 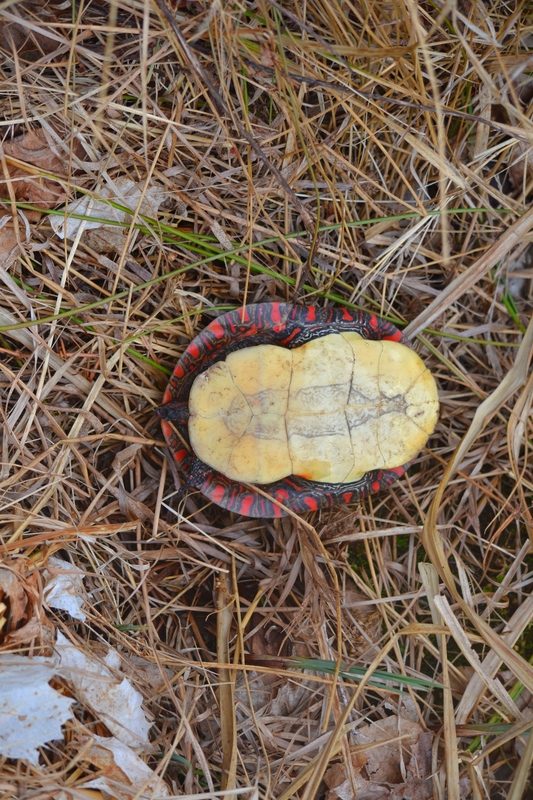 I relocated to Kingston this past winter: I have been scouring conservation areas around here as well as outside of the city and have had 0 luck in finding these guys. I don’t expect an invitation or to be told where to go, as I myself had a spot on private property and didn’t actively share the location as preservation is important, I always harvested in separate sections as I know it takes up to seven years for them to develop from seed to harvest ready leeks. That being said, in the spirit of conservation and enthusiasm, could you assist me in putting me in the right direction? The time is almost up and I am at my wit’s end! I know what environments they prefer and knowledge of generally where to go. Anyway you could get in touch with me and help me out? 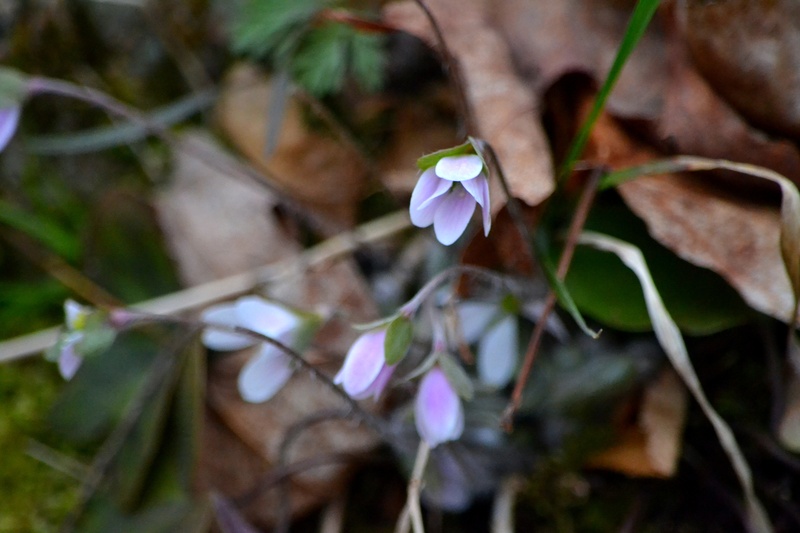 From one lover of nature and foraging to another? Reply sent via email. Good Luck!